White doors can bring brightness into your house by creating a friendly and positive atmosphere. 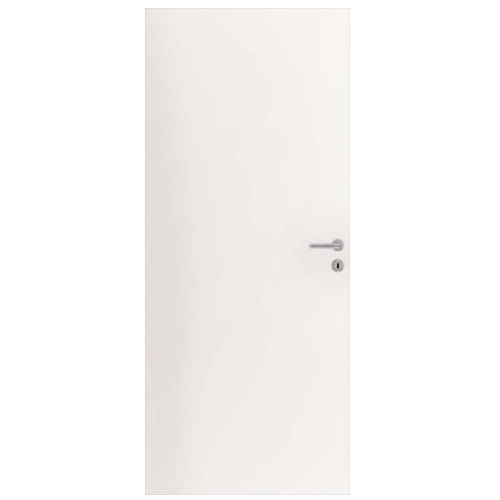 White interior doors are popular in modern interiors and favoured by designers. Living space is created to your personal taste. 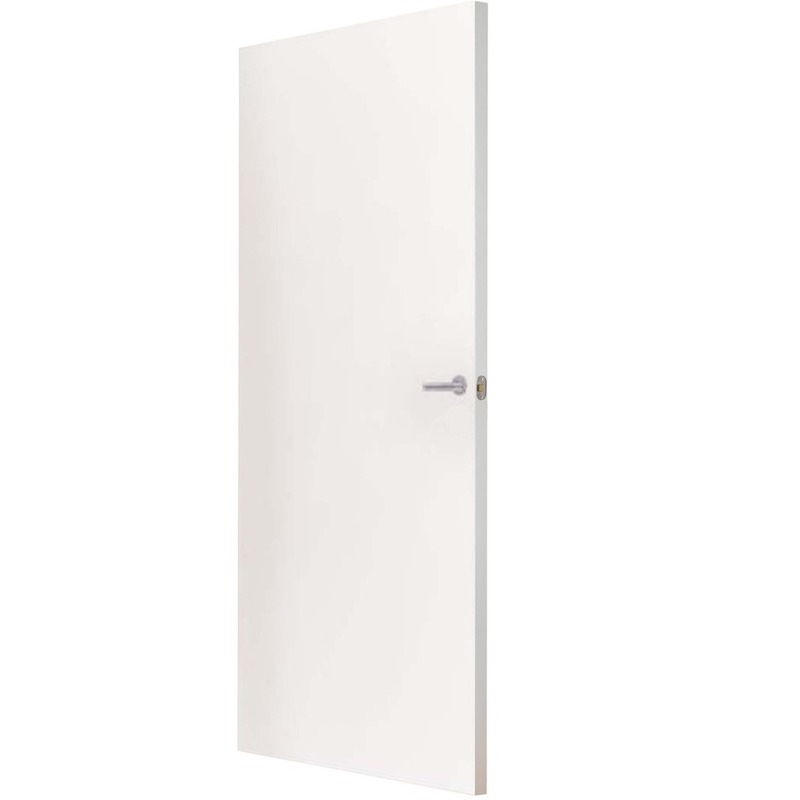 When choosing your decor style, you can find a matching laminated door: All in white, if that's what you are looking for! Our high level of production will never compromise on our promise of value. Our motto of NATURAL in the laminate door range brings new life to areas of living. We provide the perfect doors for use in homes, offices, and public areas. 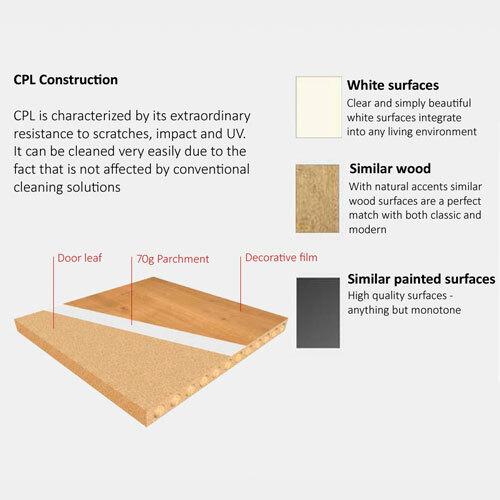 The perfect alternative to real wood veneer finishes was to produce the ideal laminate surface for everyday use - the CPL (Continuous Pressure Laminate) surface. Doors with this ‘plastic top sheet’ are resistant with the easy-to-clean, scratch-impact and light resistant finish. Doors with this ‘plastic top sheet’ are resistant with the easy-to-clean, scratch-impact and light resistant finish. 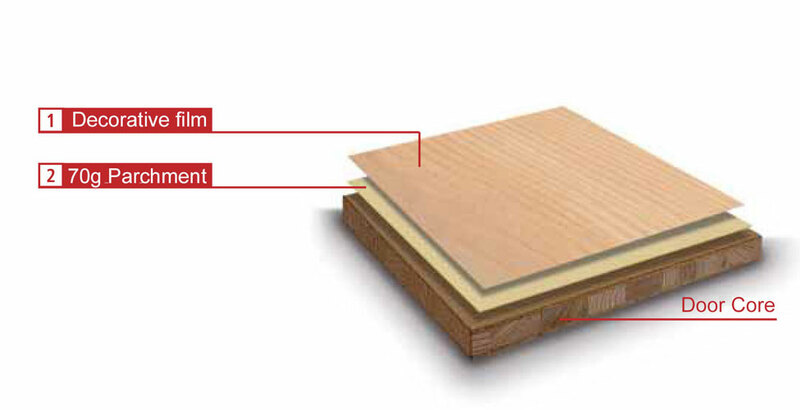 CPL (material thickness about 0.2 mm) is a multi-layer, electron beam cured laminate, similar to floors or kitchen countertops. In a highly complex manufacturing process, these saturated cellulosic fibrous webs (paper) are pressed, continuously hardening under a heated melamine resin. 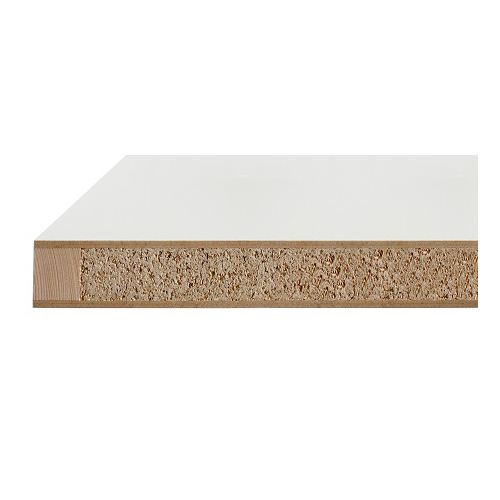 The final protective layer is an overlay of exceptionally durable melamine resin.